Getting the right nutrients daily maximizes the way you look and feel but knowing how much of each nutrient you need can be overwhelming for many women. Vitamin requirements for women vary based on age and which life stage you're in. That's why having the resources you need is the first step in nourishing your body properly, whether you're a young woman in your 20s, are pregnant or nursing, or are post menopausal. Using the chart below is a quick and easy way to know how many vitamins and minerals your body requires daily. It's adapted from the Institute of Medicine's Food and Nutrition Board; amounts vary based on age and life stage. For example, pregnant and nursing women often have higher needs than non-pregnant ladies. 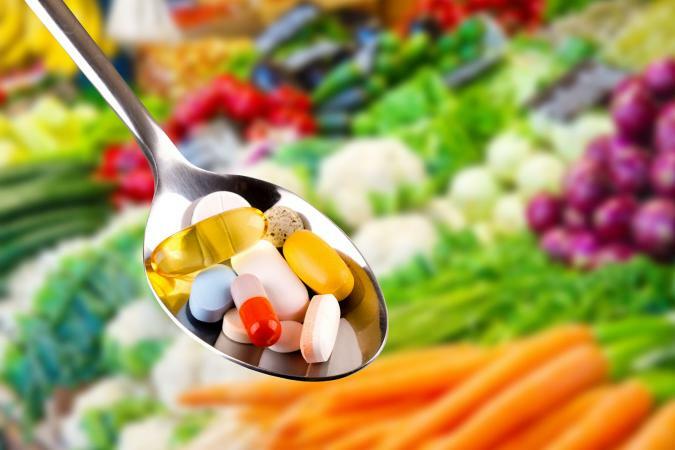 What Is the Daily Intake of Vitamins for Women? You'll see the following abbreviations and notations on the chart below, which is specifically for women. Vitamin and mineral requirements for women sometimes (but not always) change with age. For example, younger women (of childbearing age) require additional iron because iron is lost in blood during menstruation. Older women (over age 50) have higher calcium requirements because calcium helps prevent osteoporosis -- a condition where bones become weak and brittle -- and osteoporosis risks increase with age as estrogen levels decline during and after menopause. Pregnant and nursing women's vitamin and mineral requirements are often higher than non-pregnant, non-nursing women simply because women's bodies require extra nutrients to nourish developing babies. Nursing women have some of the highest nutrient needs, as vitamins and minerals are transferred from mom to baby via breast milk. The chart above demonstrates these increased nutritional requirements during pregnancy and lactation. While you won't see separate RDAs and AIs for smokers in the Institute of Medicine's DRI table, smokers likely need addition vitamin C compared to non-smokers. The University of Maryland Medical Center says smokers should aim to get an additional 35 milligrams of vitamin C daily because smoking lowers vitamin C levels in the body. Winchester Hospital notes other vitamins and minerals (in addition to vitamin C) smokers tend to be deficient in include vitamin E, beta-carotene (forms vitamin A in the body), folate, calcium, and zinc, but that poor dietary habits may be the culprit. Vitamins (and minerals) are important for nearly every part and function of women's bodies. For that reason, knowing the right amount of vitamins and minerals your body requires daily (based on your age and life stage) is a must. Ask your doctor about taking a multivitamin supplement in addition to eating a healthy, well-balanced diet, especially if you're pregnant or nursing.